I came to Netherlands towards the end of 2009. Since then, I have seen the Indian crowd only expand…exponentially would not be a wrong term to use! Primarily I see people coming for work, graduation studies, post-graduation Masters, Research (PhD) and tourism…especially parents. BTW I’m here for work. Giving some tips to a colleague new to Netherlands gave me a thought to blog it. Primary language here is Dutch. But most people in Netherlands are able to speak English. Mid Oct thru early March is cold. Outside temperature will likely be in and around 0 degree centigrade. If you want to know how it feels, just keep your hands inside a fridge freezer for 2 minutes! Carry a good woolen gloves, woolen cap that covers even your ears, a good winter jacket and thermal wear. For April thru September, it is better to carry a good warm jacket anyway. It could be very warm or chilly at random. Google “weather in <<your city>>” to know the current weather conditions. The forecast is fairly accurate for upto a week ahead….only that I think it rains less than what they forecast. Unless it is arranged for you, carry enough ready to eat food for at least 1 day. Not only that you will likely be tired and hungry, depending on the day/time you land, no shops might be open! Unlike India, 95% of the shops (excluding restaurants) close by 6:00PM. On Sunday, except Centrum almost all shops will be closed. Even the few restaurants that open will close early. (One exception is Albert Heijn grocery store. They are open till 10:00PM Mon-Sat and also few hours on Sunday in most cities. Go to their website to find a store near your destination and open timings). If you want to cook yourself, carry your pressure cooker (carry spare gasket and safety valve), mixer (mixers here do not scale up to Indian needs of grinding). You may want to carry home made ‘saaru’ and ‘sambar’ powder. However MTR is available in Indian shops here. The electric plug point shape is different from India. Carry a couple of European pin to Indian pin converters. It should cost within Rs100/- in India while it could cost upto €10 euros to buy it here. Voltage/frequency is 220V/50Hz. So your mixer, laptop will work here…you only need the European pin to Indian pin converter. Mobile is GSM based. So if your mobile is a standard brand (Nokia, Samsung etc) GSM phone, it will work here. Your Whatsapp number will continue to work from here. Even if you change to Netherlands SIM, you have the option to continue your India Whatsapp number. This might be handy especially when you are coming for short-term. Carry needed medication. You will not get medicines unless you have a prescription from a Dutch doctor. Only exception is Paracetemol and other petty medicines. So carry needed medication sufficient for at least 2 months. If you wear spectacles, carry a spare. It will be expensive here and takes them 2 weeks to deliver. Most likely your visa will be “Knowledge Work Permit” (also called highly skilled migrant or Kennismigrant) or ICT (Intra company transfer). If so, your spouse (dependent) can also work any job. Carry your original driving licence . There is no need for IDP since Indian licence is in English. You are allowed to drive with India license for 6 months after your arrival. If you have a small child, carry the vaccination and growth report/summary till date. While this is not mandatory, it will be handy in determining the remaining vaccinations for your child. If you have a child and need English medium school, you need to find an ‘International school’ first and based on that decide your housing. There are not many international schools and so this check is important. Contact the school immediately (even before coming to Netherlands) to get advice on vacancy. Check your office dress code. Suit might be preferred/needed. A good fit formal pants could be difficult to find here since shops do not adjust the length. Due to weather conditions, clothes do not dry in the Sun. You need to wash and dry in a washing machine once in 3 to 7 days. So I suggest you carry extra sets of clothes. For the India to Netherlands flight journey, ideally you will need very little money – to cover for any food/shopping need during your stopover. But carry at least €200 to €300 more just in case something goes wrong midway forcing longer stopover (snow, fog, Iceland volcano, strike etc). It is best to carry in Euro, US Dollar or Pounds. BEWARE……INDIAN RUPEES MAY NOT BE ACCEPTED OUTSIDE INDIA even in currency exchange centers. Most airlines allow 1 check-in baggage of 23 Kgs. A few allow 30 Kgs (Etihad, Emirates, Jet etc). If you are migrating for employment, you are likely to be eligible for 30% ruling. This means first 30% of your gross is tax free. This is a significant financial advantage. Ask your employer for it. For more details click here. Open a NRE bank account when you are in India. Opening after coming here, is a long and painful process. Also get the internet banking userid/password so that you can make all transactions via NEFT on the internet and hassle free. Consider giving “Power of Attorney” to someone close to you. Understand the risks before you do it. Join the relevant facebook groups….do not hesitate to ask your question. If you are bringing expensive items like gold, laptop, mobile etc make sure it is unpacked and looks like it is for personal use. Else you could be stopped by customs at the airport and asked to pay 21% VAT and also may be a fine. Upon landing in Netherlands, you can buy pre-paid SIM card at the airport. Generally preferred among Indians is ‘Lyca mobile’ since its calling rate to India is about 1cent/minute. It costs €15 to buy the SIM with currency of €7.50 already loaded. ‘Lebara mobile’ is a competitor. Often they have better deals. Compare and then buy. If you are landing in Schipol airport, the train station is within the airport. Make sure your destination train station has a lift/escalator from the platform to the transit point. Else you will have to carry your luggage up/down the stairs. Normally taxis/city-bus are available outside the train stations. If train is not an option for you, ‘airport shuttle’ is the next cheapest followed by taxi. Take official taxi only (and not someone who is trying to sell you a taxi inside the airport) to avoid paying much more than official rates.Note: Car seat for kids is not mandatory for airport shuttle and taxis. If you are really out of stuff late at night, you can go to ‘Night Shop’ or ‘Albert Heign to go’ shop that are open till late in the night. However you will get only limited stuff and is not a substitute for your grocery shopping. Also, these shops are more expensive than regular grocery shops. Night Shop will be open till about 1.00AM. Clothes store: ‘C&A’, Hema, PRIMARK – cheap and good. Often there will be discount ‘Sale’. So buy only what you need and wait for the Sale weeks for the rest. Miscellaneous store: Action, Blokker, Kruidvat, Zeeman. You will get stationery, mug, bucket, DVDs, batteries, shopping cart, rice cooker etc etc etc. Footware store: van Haren is cheap and good….again keep ‘Sale’ weeks in mind. Indian store: Most cities have Indian stores where you get almost all of your day to day needs as if in India. You will get ready to eat, Maggi, soan pappdi, grated coconut…everything! If you have a stove and a microwave in your accomodation, life is easy here! Electronics store: media markt, BCC .…look for Sale. Also check the price in mediamarkt.nl. Products are often much cheaper there. You can even order it to the nearest store at no additional shipping cost and pick it up from there a day or 2 later. Medical store: any ‘Apotheek’, but unless it is over the counter medicine, you will need prescription from a Dutch doctor. Post office: Generally a separate counter in ‘Bruna’ book store. If you did not buy a mobile SIM card at the airport, you can buy it at the train station information/currency exchange desk. Some phone shops in the Centrum will also sell. A shopping cart will cost you €15/-. But worth the buy since it will last for years and will relieve you the pain of carrying stuff in hand. With a shopping cart, you fill it with your grocery and drag it on its wheels to your home. To travel by train, it is good to know the basic ticketing system. Go to http://www.ns.nl for timetable, ticket price. Click English if you prefer information in English. Trains have a confusing variety of discounts, ticketing modes and eligibility criteria for these. If you are confused, go to the ticket counter at the station and ask them what is best for your situation. However you will pay 50cents extra per ticket if you buy tickets at the counter instead of the vending machine. For door-to-door travel planning using public transport, go to http://www.9292.nl/. For English, click the UK flag. If you provide your home address and your destination address, it will tell you the options you have for travel. You can use ‘Smartvoip’ to call India and other countries from your laptop. Google Smartvoip. Once you get your insurance letter from your insurance company, you can register yourself with a Doctor. The healthcare system is different and important to know. Read my other post for details. ABN-AMRO bank has English online banking. Most others have only Dutch. While it is not mandatory, you may still be asked for BSN to open the account. How to apply for a BSN and the time it takes is explained here. Other than health insurance, it is strongly advised to take 2 more types of insurance. Personal Insurance- in case you/family damage someone else’s property by mistake. Theft Insurance – to cover your house hold items in case of theft. ABN-AMRO also offers both and cost very nominal amount. Buy a cycle. New one will be very expensive. You should easily be able to find a good used (second hand) cycle. Do not buy from unknown people who look like thugs and are ready to sell at very cheap price. Most likely these are stolen cycles and police might question you. Look for something within known circles. There are second hand shops but cost much more than private owners. If your spouse is not working, he/she can apply for tax return in the local tax office. After first 6 months of living in Holland, non-working spouse will get a monthly tax return of aprox €80/month. If you have child(ren) you can apply for child benefit with SVB. You will get about € 150 per quarter if you have 1 child and more if you have more. Google SVB for more info. If you have a small child, you will need a stroller (buggy). They are available in different sizes. Big and bulky ones look very fancy and attractive to buy. But buy a small handy stroller. Primary reason is, if you are new to Europe, you will probably travel by public transport or to other Euorpean countries. Bulky ones are really a nuisance to carry around and handle in transport vehicles and in sightseeing areas. They are very heavy as well. If both you and your spouse are working and you need a day care for your child, you can get partial day-care fee refund from the government. Depending on the city you live in, it may be easy to extremely difficult to get a day care for your child. Try nearby smaller cities if getting it in your city is difficult. In spite of the luxuries, you will need friends….especially for a housewife/kids. The best way to make friends is to invite someone who you meet with similar situation as you to your home formally for tea/dinner (and not just “come home sometime”…this will never work). Don’t wait for the other party to initiate. Also, long timers in NL would already have their circle. So best bet is to make your own group of recently arrived. You are allowed to drive in Netherlands with a foreign license for first 6 months after your arrival. If your 30% ruling is approved, you can exchange your Indian license for a Dutch license paying a nominal fee at your local town hall (for a fee of about €50). Spouse of a 30% ruling holder is also eligible for this exchange. For further details on DL: http://www.expatica.com/nl/leisure/travel_tourism/how-to-get-a-dutch-drivers-licence-1672.html. You can collect your Indian license back from VFS India center about 6 months after the exchange. Spouse of a Knowledge Work Permit holder is not eligible for 30% ruling if he/she gets a job after coming to Netherlands as a dependent. However many have received the 30% ruling if they got employed within 3 months of coming to Netherlands. If you are on Knowledge Work Permit, it is allowed to change your employer. If you are on ICT visa it is possible to change the employer if the new employer is authorized to process KWP visa. Google for details. You could get calls like “We are calling from IND. Your visa is illegal…your records are illegal. You urgently need to transfer money to correct it” etc. These are fake calls. If anyone calls you, ask them to talk in Dutch, or you say you will call back to IND to check the validity of the call. They will hang up and stop bothering you. Ryanair is a good low cost airline for travel within Europe if planned at least 4 weeks in advance. Use the ‘Skyscanner’ mobile app to plan your vacation. It lists in the order of ticket cost to all destinations from a given source for a given period. If you have any grievances when living in The Netherlands (example: landlord issues, dispute with a business etc), you can approach the Indian Embassy for help. They are often very eager to help out. Probably you are already looking forward to plan your next trip….click here for a list of places to visit in Netherlands and Europe. If you are missing live cricket, google for ‘cricket streaming live’. You will get multiple websites that show live telecast most often for free. for daily rubbish, you can collect them in a black dustbin bag (buy in grocery store) and keep them on the footpath weekly on a designated day for your area. for batteries disposal, you can check for a waste bin in your office or go to electric shops like media markt for example. for anything and everything, go to Millieustraat. It is the city waste collection center. Some cities charge you a nominal fee and some do not. If you are a vegetarian, you will most likely develop Vitamin D deficiency because of limited exposure to sunlight especially in the winter months. Consume Vitamin D supplement tablets. This is available without prescription at any medical store. Over and above the previous point, your employer might subscribe to additional pension scheme. When leaving NL, you can either get this transferred to a similar policy in India or just leave it as is and check back with them when you are 66 years old! Disclaimer: This is my best effort and personal opinion only. No responsibility will be taken for any inaccuracy. Nice work Mr.Madhu! I am planning to pursue my Masters in Automotive Engineering either at HAN or Eindhoven University. How is the employ-ability scenario there as far as Indians are concerned? I had planned for UK, but dropped it due to Visa restrictions and lesser probability of finding a job. I find Netherlands has lesser restrictions. How do the employers go about recruiting candidates there? I need to get a job immediately after the end of my course since I will have to payback my loan. It would be a great help if you could guide me! Hi Harish, Not sure if you saw my prev comment…I’m getting delayed in getting a response from my contact. Please try joining the facebook TU/E students group and asking for Auto Engg guys to contact you….https://www.facebook.com/groups/tue.ist/. Hi Madhu, A very close friend of mine, an Indian who had been on a job at Poland, is offered a work at an arts and crafts studio at Eindhoven, the employer has a store as well at Eindhoven. At Poland, Indians do not require a work permit. at Poland. but it is different I suppose at Eindhoven. anyways, that apart, my concern is he is looking for a cheaper accomodation. any names of localities?? Any ideas if you can provide some info.. and he is a pure vegetarian. If it is single person hostel like accommodation or on a roommate basis, join the ISN group mentioned in http://movingtonetherlands.2migrate.com/eindhoven-specifics/ and post your requirement. If it is for family, then going via an agent is the best option. Centrum (city center) typically has cheap accommodation options. Safety should not be a concern as long as you do not forget to lock! There is also a South Indian vegetarian restaurant (Sri Ganesh) in the city center. Hi Madhu! Thanks a lot for the excellent information. I arrived in NL (Den Haag) on 1st Dec on MVV WP and am finding your info very useful. I have a very specific doubt and hence want to ask you. I want to visit the Harry Potter Castle in London before 12th Jan (holiday season special). Can I apply for UK visitor visa and hope to go there before 12th Jan? Please note I did my IND registration on 2nd Dec but haven’t received the Residence permit card yet. Can I be without my passport until I receive the UK visa? Please help. For me UK visa took 3 weeks to arrive in the peak season (July). It is okay to be without the passport in this period because the UK VFS office will give a letter saying your passport is with them. But you cannot travel outside of NL because you do not have a passport. But in your case, you do not have a residence permit. I’m not sure if UK VFS will accept application without a Residence Permit. I expect they will. Better to write to them. Ideally living in NL without any identity (RP or Passport with valid visa) is illegal. So it is also better to check with the IND if it is okay in your case to live with just the VFS letter and a copy of your passport. Thanks for your reply Madhu. I will write to UK VFS as you said. Colleagues here are saying that I should be able to get my UK visa in 10 days. I will update if I get a reply. I also think 10 days should be sufficient since December is not a peak season. Also check with IND if it is okay for you to be in NL without passport/RP. If you are going to Dusseldorf for passport submission, you might run into problems if there is a check on your return route. “You may submit an application for a visit visa in any country. Applications for any other entry clearance categories, however, should be submitted in your country of nationality or your country of normal residence. Please note: in general terms “country or territory where the applicant is living” refers to the place where a person is present in any capacity other than as a short term visitor and has permission from the relevant authorities to be so. I guess no RP won’t be a problem though the reply is a bit generic. Do you know the exact contact details of IND? I have contacted them via denhaag.nl Gemeente contact form… not sure if that’s right. Haven’t got a reply yet. “When your residence permit is ready to pick up, you need your passport to identify yourself to receive the permit. You will not get the residence card at our office without a valid passport, a copy will not suffice. If the card is not ready yet before you leave the Netherlands and you want to return to the Netherlands after your visit to the UK, you will need a return visa to be able to enter the country. For this return visa you can make an appointment at one of our offices. The costs are €140,-. This return visa will need to be put into the valid passport as well. Good that you checked! RP these days takes less than 6 weeks to come (may be you can check with some colleague who has come recently). So if you want to take a chance, you can apply for the UK visa and hope your RP will come before you go to UK. Anyway the UK visa is valid for 6 months. So if not now, you can go within the next 6 months – of course you will miss the Jan 12 event. 1. Is a visa required for travel from Eindhoven to Germany on a short tour? Normally Schengen visa is applicable. Germany (+25 other countries) is part of the Schengen. So if yours is a Schengen visa, a separate visa is not be needed to travel to Germany (but you must carry passport). Honestly, I do not even know if there is a visa that is valid only in NL and does not allow travel to other Schengen countries. Madhu, Thank you. One last doubt. Apart from the list of Schengen countries, if one has to visit the UK, does a separate UK visa needs to be processed? Given the fact, that the employer has taken care of the work permit, residence permit, etc. to be at the NL. In such a case, would the application and processing for UK visa be costlier ? And how long would it take.. ? I did read the above response of yours and the Q with regard to the UK visa. Nila, UK needs a separate visa for visiting. It will take about 2 to 3 weeks during which period your passport will be with the UK embassy. One can apply in Netherlands or in Dusseldorf, Germany. As of 2013, applying in NL cost about €300. Applying in Dusseldorf costs about € 100. Awesome job. You really are doing something here. I have few queries, appreciate your help. I will be travelling with my spouse and 4 year old kid to Amsterdam on Knowledge Migrant Visa and is offered with 56,500 pa.
1. Is the salary decent considering two dependents (spouse and kid) or there is a scope? Will I save something here? 2. My office is in Schiphol Rijk. What will be decent place to look for a house considering my kid will be going to some international school. 3. My company is providing me a health insurance. Will it be enough or I will have to buy another one? 4. What will be the approximate fees for a 4yr old in international school? And when does the admission process starts? 1. Please refer ‘cost of living‘. Overall, the pay is decent enough (your house rent is what you need to control for better savings, the rest are small costs). Do not forget to apply for the 30% ruling within 3 months of your arrival. Also make sure you apply for the non-working spouse tax return and the child benefit explained in my blog. 2. Most Indians live in Amstelveen. But this area is very expensive. Almere is an alternative. Indian population is growing here and also has international school. Stay close to the station. 4. Generally 4000 to 6000 per year. There are others that cost 15,000+. Only people whose companies sponsor full fees send their children to these schools. Note: If you have 30% ruling, your employer can deduct the fees from your gross thereby making it non taxable. Admission is anytime of the year – the day your child turns 4. For details, please click the link: schooling. Is it advisable to put your kid in Dutch school after he/she turns 4? What about other Indians? Do they only prefer International schools or they have put their kids in dutch school too? People who are sure to stay here for long put their kids to Dutch school. The others put them to International school. My personal guess would be that 80% will go to International school. But as of 2014, some Dutch schools will also teach few subjects in English. So many people are contemplating about putting to those Dutch schools. You may try this. If you are interested, check with the international school in your area for such a school. Thanks. I satisfy all the conditions to avail 30% ruling benefit. But still is there any chance that I may be denied this benefit? Or are there any examples where people who satisfy all the conditions are denied this benefit? I haven’t heard of any case of denial. It is very nice to see u r blog Madhu recommended by Telugu Association Netherlands, thanks to all. Since your wife is on MVV, it is allowed for you to work on dependent visa. Getting a job here depends on the field of your expertise. In IT, BA, automation tester, tester, developer etc generally it is easy to get a job without knowing Dutch. But other category jobs will likely demand Dutch. So getting a job depends on your area of expertise. As for the baby, it is better to get her with you. Visa etc can be done at the same time as yours. If it is done later again you will have to go thru the same hassles. Even if you have to go for work, there are day cares here. In case you are really not able to manage, you can always decide to take her back after all the visa, entry, residence permit formalities are complete…..but if you ask me, I will never recommend leaving your daughter away from you. Hi Azad, did you enter in an a dependent? If so, ideally you are not eligible for 30% ruling. If not, may be you can explain the reason that your project got postponed and if your employer is willing support this, it might be acceptable! Check with your employer. But no guarantees and apply your own mind before taking this step! i have 3 + years experience in manual testing. i got 60.2 % in Btech. i am planning to do MS in NL. please suggest me “how to get there and which universities should prefer and about part-times ” . Hi Sathish, I suggest you go to the websites of universities like Technical University Eindhoven, Delft, Utrecht, Amsterdam etc and check the procedure for foreign students. What I know is that the procedure is simple enough. If you need specific guidance, I suggest you the facebook group of some of these universities. There you can get the latest information and also suggestions from who has gone thru it. I am travelling with family in a week time. Can you suggest any reasonable service apartment for 15-20 days initial stay near Schiphol Rijk. Hi Jaques, my colleagues have used Htelapartments when it was company sponsored. If they are expensive for you, you can try the holiday apartments link provided on the right sidebar. 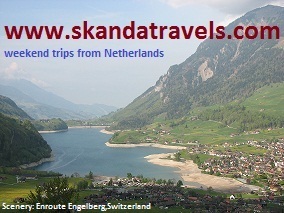 Jaques, since you will be new in NL, http://www.skandatravels.com will be helpful to you. There is a trip to Switzerland planned in April. Is it safe to use a 750w mixer with 3pin bought from India in Netherlands. Considering that there is no ground and need to use a 3to2 pin adapter. This is 3 pin to 3 pin….the earthing in NL plug points is on the side (on the round part) – a thin metal piece. So it looks 2 pin, but is actually 3 pin. You have vast knowledge of NL and really appreciate yr responded information. I will mobilize to NL with my wife and 6 yr daughter. Whether this is goo salary or not ? Aprrox. how much i can save considering expenses of flat rent, utility bill, school fees. Hi Prashant, I think this is decent salary. To see what kind of expenses you can expect, please see other topics like https://indiansinnetherlands.com/money-matters/cost-of-living/ and https://indiansinnetherlands.com/money-matters/take-home-and-taxes/. Good evening madhu sir, i am murugaraja chenai, hope you belong to chennai. First i would like to thank for this generous service for the indians.I need one clarification from you, I have completed my B.E Electronics and communication Engineering.I am going to switch my job for store keeper job in nether land. In this regard i want some clarification can u give your skype id. Hi Murugaraja, do let me know your questions and I will try my best to answer. While I understand a face to face conversation is the best way to get a good feeling of things, at this moment I’m not yet prepared for it. So instead of Skype, I would suggest to ask your questions here in this forum and I shall answer to the best of my knowledge. Regards, Madhu. Are u in Haarlem now. I am planing to move aug. Can u guide me on accommodation. Or school in haarlem. Hi Dharmendar, monsterboard.nl and indeed.nl are considered the leading websites to get a job….not sure if it applies to MBA jobs as well. If you are in Eindhoven, you can visit the expat center…they have recently started something call ‘spouse program’ to help such cases. Hi Madhu. First of all thanks for providing important information regarding staying in Netherlands. I need your advise. With gross salary 4500 euros per month. I am planning to come over there with my spouse & 1 year old son. company will take care of mediclaim insurance for me & my family. Do you think this is sufficient salary for staying in Netherlands? Also how much money I can save per month. I am coming to Netherlands for 6 months to do an internship at an international organization. I would like to search job while doing my internship. Recently I completed Master degree from Norway, I would like to know typically how much time will it take to search for a job. How effective are the job agencies? I would like to do part time job as well as my internship is not paid. How tuff is get a part time job? Hi Ravi, these days I hear it is not very easy to find a job in NL. So give yourself more than 6 months. Of course ultimately things depend on what is your course and the demand for it. Job agencies are generally good here. Your most accurate source of information would be to join a facebook group from some university that has courses in your subject area and ask the people there. That would be more accurate than my source since I’m in a completely different field. Regards, Madhu. Thank you for the information and guidance. My subject area is information management. I would like to do part time job preferably in restaurants. i just completed my B.Tech in Information Technology last year. currently i’m working for HP in bangalore.But it’s my child wood passion to work in europe. especially i would like to be in netherland. Ijust wanted to know the scope for IT graduates in netherland, and is there enough IT companies running in netherland. If you have any detailed ideas , please let me know, it would be very helpful to achive my childwood dream..
Hi Siva, searching for openings in monsterboard.nl and indeed.nl will give you an idea of the job market in your area of expertise. In general the market is very tight. Hi Madhu, Thanks for your reply. I have below 2 queries. 1) I have little bit confusion on schooling. I read that there are two type of international schools. One is operated by Dutch govt. which will teach international curriculum and has fees range in between 4000 to 6000 per year. Second is Private international school (UK, US pattern) which are very expensive (15000 to 22000). My question is that: Can I get admission for my daughter (6yr) in Dutch international school. 2) For me Company is providing visa. But for my wife and daughter I have to do. Could u plz advise on expenses required for Visa. I have plan to stay in NL for 2 yrs. There are 2 types: Dutch govt aided international school and Private international school. Aided costs 4000 to 6000 and Private 15000+. Most Indians (including me) send their kids to the aided school. Admission is easy if seats are available. Contact your school immediately for availability. 2. I do not know dependent visa processing costs. You can join “Indians in Netherlands” facebook group and ask if someone is aware. For visitor visa it costs Rs 5100 per adult. Hi madhu.. I just completed my B.E (MECH).. my uncle said he know some agents to get job in abroad.. they said there is a job in Netherland with the pay of 1lakh Indian rupee per month.. but agent said I have to pay 3lakh rupee initially.. (that rupee is for insurance he said) he said the job is confirmed for 10years.. what should I do.. shall I go for it or not..? Pls reply me..
One lakh rupees is 1200 euros…what job he will give?? cleaner job?….even they will get more pay than this! It is almost impossible to get low paying, low level jobs for people not from European Union. Think before you pay!! If you are looking for a decent living, target at least 36,000 euros – gross per year. Wow I love your site and what a great thing to do to provide all this information. It was very helpful thank you tonnes ! I had a question since you seemed to be experienced with living expenses in Netherlands. I have an offer from a company in Amsterdam which is paying me 3750 gross. I think that will leave me with 2300 net ( 300-400 more after I get the 30% ruling ). Is this enough for a single person in Amsterdam if I want to stay in a studio/1 BHK. I am trying to calculate if I will be able to save enough money as well. Thank you for your reply ! For a single adult, this is a decent pay. If you go with shared accommodation, you can save more. You can expect a monthly expense of about 500 euros apart from the rent. Thanks a lot !! This information definitely helps a lot. I have also been reading about the tax credits (like the general and labour tax credits ) in Netherlands. That will increase my net take home income too right. I wonder if software engineers qualify for the labour tax credit. I have also negotiated with the company and they increased the offer to 3900. Thanks again for the info I really appreciate it. Also one last question, I have around 4.5 years of experience and make around 15L in India in a product company. Do you think the salary being offered to me is reasonable for this experience. The offer is okay for the experience. But if you are already getting 15L in India, the new offer may be a bit on the lower side. Also, if this is a local company, note that year on year increments will not be large like in India. Promotions will also be spaced over more years than Indian companies. Thanks for your reply ! I know the offer is just about decent.. but their relocation policy and benefits (free tkts to india once a year for family etc) are decent so I am mostly considering joining. And I am single right now… so my gf will be joining later hence I dont have an immediate financial burden either. I just wanted to know if you have moved to NL. I am also in a similar situation and cannot decide if I should go for it. Would love to ask you about your experience. I heard that if I am not working I can get some unemployment benefit from govt. I want to apply for that. Could you suggest any tax agency to fill my forms. waiting for your reply. Hi Indira, if you are looking for unemployment benefit because you were employed in NL and then you got laid off, then you can go to UWV in your city for help. If you are looking for benefit for a non-working spouse, you can go to the tax office in your city and tell them you would like to apply for non-working spouse benefit. They will help you out. You can find your city UWV or the tax office in google. Hi Madhu…Thanks for the information..
Hi Rajesh, which city? There are many institutes. A crash course institute is in Utrecht…do not remember the name. Your best bet is to ask about it the facebook group Indian in Netherlands. I was there in Netherlands six months last year.My employer asked me to raise MVV visa again for this year .I did.There is no update even after 6 weeks on MVV visa approval. Current status pending with IND and no decision made yet.I am really worried.Will it leads to rejection.Normal processing time is 4 weeks right? I dont see any reason for rejection if your prev visit was fully legal. Sometimes due to vacation, busy period etc it could take longer for MVv approval. I am planing to come NL(Haarlem) with may family in August. Can you have any ideal about Rent Apartment in Haarlem. Also Which good school form indian is best for primary student. My son is 11 years old. pl. guide me. Do you know any indian in this city. So he can help me. If you have pl. give me contact no. Hi Jignesh, Haarlem is close to Amsterdam and Amstelveen where there is huge Indian community. I do not know much about Haaarlem. May be you can join facebook group Indians in Netherlands and check there. Regards, Madhu. I had a chance to look at your website and it was a good read. I have few questions which I am not very clear of and would be great if you could help me out. 1. I am a MSc Graduate from a top University in the UK, which infact ranks in the QS World Ranking (top 50 in the list) which makes me eligible for the Orientation year highly educated persons. I am planning to apply for this. – Does this visa allows me to work in the Netherlands for the period of 1 year. 2. If I am wrong with the above statement could you please tell me what does this visa allow me to do. The information I found on the website was unclear. 3. I also recently had an interview with a company and they said they support ” highly skilled migrant who already obtained a valid residence/ work permit, and are allowed to apply for jobs in the Netherlands based on the year of orientation”. Could you explain what they intend to say. 4. Also would like to ask you if about the market for Fresh Electronics Graduates. Hi Suresh, I do know that Indian students graduating from France, Sweden etc come to Netherlands for their internship/job. But they have to apply for MVV (work visa) and only then start working. For this visa they need a letter/job-offer from the employer. I would think the procedure is the same for UK as well. I’m not sure of electronics jobs here. I’m into software. Your best option is to join one of the university facebook groups and ask there. Thank you for your prompt response. I had a chance to look at the MVV form as well. Even in the MVV form, below the ‘Purpose of Stay in Netherlands’ option, there is a selection of ‘Highly educated migrant seeking employment’ option. [source : http://www.vfs-nl-in.com/pdf/mvv_application_form_240414.pdf%5D, which does not require a letter from the company and its the individual who has to pay the MVV fee as well. But my only doubt being whether I would be able to work there during my stay of one year or not. Could not find any more information on that. So it would be helpful if you could help me out with this if thats possible.! Hi Suresh, from what I know, if you have MVV you should be allowed to work. To be certain, I would suggest to write to vfs directly. They are generally prompt in responding. There are also Dutch immigration lawyers that should be able to answer this question. I found your site very informative. Wanted to find out how Is hilversum as a place to stay in? I am in Amsterdam in first week of August as a tourist. Is there any thing, which I can buy for way back for home in India. Like any memento, any specialty, any thing which you find cheaper than India like that . .
Hi Lokesh, when you are leaving from Netherlands, you can claim the VAT of 21% back if you have asked for the form when buying an item. This will make a lot of items including electronic items cheaper than India. Small momemtos are available everywhere in Amsterdam. My husband visa is under process, once done he would be working in Amsterdam. I want to shift there along with my father(72 Years of age), is there any case where people moved with their dependent parents ? What is the process ? Hi Aditi, I think once you get a Permenent Residence which takes 5 yrs, I think it is possible to bring in close dependents. I do not know if you can bring him sooner. Firstly I would like to appreciate you for sharing the brief information about Netherlands with us. I have completed my B.E(CSE) and currently working as functional consultant in ERP. I would like to pursue my masters in supply chain management from Erasmus University. As I belonging from middle class family, so I want to know more details about living expenses for student and employment(part-time) possibility in NL. Hi der, am a business guy from India. Planning to migrate and start an indian restaurant in Netherlands, Amsterdam. Want to know the procedure for the same. I do not know the visa requirements/rules. But if that is not a problem, starting a business if you can make your own investment is very easy. Kwame, I would suggest to try via facebook groups. Thanks for brief information about Netherlands with us. I have completed my B.E(ESE) and currently working as IT Hardware consultant (12 years exp) . and i am planning to move to NL. I just wanted to know the scope for IT hardware related jobs and living expenses . Please Suggest suitable website to apply job. 1. I am coming to NL in this November for PhD in Eindhoven university. Can I bring my wife on dependant visa? 2. If yes then can she’s allowed to work on dependant visa? 3. I have completed my MS in real estate development from Uni. Of Greenwich, London; and working as a project engineer in one construction compony in India. So can I get job in construction firm? Or what job I can get? 4. What is legalisation of marriage certificate. My city’s DM just don’t understanding what I want! 5. How’s dutch people and their culture. Is their any kind of racism? 1. I know many PhD students with their (working and non-working) wife here. 4. It is a standard procedure in India. Contact VFS – the agency that handles NL visa processing in India. I understand they assist in legalization. 5. Language is a bigger barrier. But I know several Indians that have mingled very well. IMO it depends on your personality than theirs! 1. Will it be any problem later when he wants to shift job to another company? 3. I am searching for temporary jobs, without the TWV, will I be asked to get a work permit separately? then this will pose a problem! 4. What would be your suggestion? Do we take this job as it is? Do we ask the company to get registered for hiring knowledge skilled migrant? Hi Divya, your questions can be best answered by IND. For correct answers I suggest you go to the nearest IND and say you need “information”. No appointment is needed. From what I know, for a non-EU citizen to work without MVV, you should have been in NL for at least 3 years and it should be stated on the back of your current RP that you are allowed to work without MVV. For question 2, even with MVV, when you lose the job you are allowed to stay only for 3 months to find yourself a new job. If it is me, I would not take this risk….I think it is safer when at least 1 person in the family is working with an MVV. Sure Divya. What did they say? I have total experience of 7 years in IT and have an offer from a company in NL. The offer is 4800 monthly gross(includes holiday pay) + health insurance + free public transport + company pension. Could you please let me know how the offer looks? Also, I spoke with the HR about the 30% ruling and they said that after all deductions (pension from sal, income tax and adjusting holiday pay in sal) I will be getting 3600 p.m. in hand. So, how does this amount look? Finally since I’m single and don’t want to share an accomodation, how much can I save a month. Shri, Offer looks decent for a 7yrs experience. Ask for holiday allowance as well. If it is a Dutch company, do not expect frequent promotions and hikes like Indian companies. For potential savings, my calculation would be pretty much the same as mentioned in “cost of living” menu item. Thank you very much for this very informative site. I had stumbled upon this website when we first moved here in April earlier this year. I am a non working housewife and I planned to apply for the tax refund for the non working spouse. Do u mind to share more info on this, do i just simple go to the nearest tax office and apply and what are the infos that I will need to bring, because I tried to google about this but I cannot find it. Thanks in advance. Hi I remember you need your BSN, bank acct no, home address. In case more is needed probably it will need a second trip to the tax office….i remember my wife went twice. I am from Pune India, coming to Eindhoven on 10th of Nov. for the short training with my son we will stay for 5 days there what should we bring where should we stay, is there any apartment on rent for a week? we are coming at the Prins autogas company for the training of cng conversion in petrol cars. Hi Adwani, my response would be no different than what is already written in https://indiansinnetherlands.com/ and https://indiansinnetherlands.com/cities/eindhoven/. I really appreciate your efforts for doing this blog. I just came to Eindhoven on thursday and will be here for 1 month on business visa. Can you please let me know the process to get a monthly bus pass here. From last 2 days, whenever i was in bus. i paid 3.5 euros for journey. Is there any pass which can allow me to travel in buses for 1 month without restrictions. Hi Sreeman, I’m not sure if there is a monthly pass. Your best option is to check at the ‘Hermes’ counter in the Eindhoven bus-station next to the ‘Albert-Heijn to-go’ shop. Hope you have gone thru https://indiansinnetherlands.com/travel/public-transport-and-ov-chipkaart/….you will read that buying an Anonymous card is a cheaper option to buying tickets everyday. Yep, I read your post on it and bought the card today. You don’t believe, It took just 0.90Euros from Bus station to Tulip Inn hotel. Thank you very much. i really appreciate your patience for anwering almost all the questions being asked… i have got few.. my husband got a jod in amsterdam NL. So we are planning to come there this april.. we will be staying in amsterdam for minimum one year.. we have a son who is 3.5 years old. suggest a good place in amsterdam to live and also some local dutch school close by that area. we feel that we will be comfortable in a place where there are shops to buy things for our daily routines. as we are not planning to buy a four wheeler we can’t keep travelling long distance for shopping. Hi Gayathri, I don’t live in Amsterdam,so cannot give much info. But most localities will have a grocery store. In Amsterdam, connectivity is excellent. So even if you want to do bigger shopping once in a while, it will not be difficult. my husband’s office is located in shipoi it seems.. do u know that place.. is it ok to look for an apartment there.. ? and also plz let me knw if there is anything(cookery items, any special clothings, medicines, gadgets, etc) that i need to carry from india to NL which will not be availble in NL.. though i will be carrying some of them would like to know if there anything important that i need to bring.. I found the website extremey useful. I am finishing my studies in France and I will be coming to Eindhoven for long term starting in this December. I am looking for accomodation in Eindhoven. Can you kindly suggest how to start looking for accomodation in Eindhoven? Very difficult question to answer…you need to go with what is available at the moment that suits you. You will need to google to get housing agents list. Today I had chance to go through your blog. It is very informative and very useful site to refer. Appreciate all your good work here. Thanks for your time in creating this. I do have some queries , Expecting your response on the same. I am a software engineer BE (ECE), Working for Accenture India with experience of 4 yrs in Database testing. I got recently married and come to NL(Nether Land) with my husband on Dependent Visa and staying at Den Bosch. 1. Am I eligible to work at NL with Dependent Visa? 2.How is the Software industry at NL? 3. What are the job portals ,where I can upload my resume in search of new Job. 4. What is the scope of getting a job related to my field. 1. Depends on your spouse visa – if it is knowledge work permit, then yes you can work. 2. At a broadlevel, good and moving, but depends on the area of expertise. 3. Monsterboard.nl. Google for more. I would like to Appreciate you a lots of information about netherlands. Iam from hyderabad/india i had completed my graduation from a open university in commerce & planning to work in netherlands i don’t know any one there how can i get RP & Work permit . Kindly suggest me none of my friends or relatives are there at netherlands mine intrest is in Automotive field i hav 4 yrs exp as Customer Service advisor of four wheelers ( Cars ) though i dont have mechanical degree but i have knowledge of automotive field Do i get job there l. Kindly suggest. Hi Ahmed, you need to find a job first. Internet is your best bet to find one. Next, the company that offers you a job needs to sponsor your visa. Hats-off to you for all this information to make the life easy for fellow Indians. The world would be a better place if we have more people like you. Really appreciate you for your prompt responses as well to several queries from people. Just wanted to say thanks to you. I just wanted to enquiry about sending medicines (Ayurvedic) from India to Netherlands. Is is possible via courier services? If so which services is recommended? I urgently need to send prescribed medicines (Doctor’s clearance certificate is also obtained) to one of my relatives staying in Netherlands. Hi Austin, no idea! Sorry. Hi Madhu. you are doing excellent help. I am coming to NL. I am trying to work out my basic ecpence including car. What are the yearly expenses to own a car ( road tax, yearly or monthly registration cost etc) thanks for you help in advance. I am currently working in NL on an onsite assignment via a known MNC. But, my assignment is ending in next 3 months. I am here on a MVV. As a manual tester in IT with an experience of 4 years, how good is my chances of finding a job?And if I ind, what salary can I expect and will it be good enough? I am keen to move here permanently. Hi Snehalata, I think the job market for a tester is good in general. I feel Amsterdam area has better chances than in the South like Eindhoven. While the pay isn’t that good, you should still be able to get the minimum needed to retain your MVV and 30% ruling. I really appreciate your way of answer with politeness to each questionnaire. I am from Chennai, Currently I am working in Indian based MNC IT company . I expecting the onsite work assignment in NL Hague state from my company. So I would like know the VISA process and required mandatory documents for myself and my family members. I enquired about these details in my current company. But particular visa processing department not much clear on this area. Can you please reply me for below questions. It’s very helpful to me. 1. Documents requirement for work permit visa for myself and family members (Wife and 2 Kids). 2. How long time will take for processing work permit visa. Hi Vikram, yes you will need to apply for MVV visa. As I understand to apply for this visa you first need to have a job offer. But since you are already in EU, I expect employers will be more willing to hire you than if you were not in EU. My employer in India has applied for highly skilled migrant VISA for me and dependent VISA for my Spouse and the application status is in progress. For my spouse to work in NL, what documents should she get Attestation/Authentication/Legalazation/Apostille? (Like degree certificate, Birth certificate, Marriage certificate) and what process should be followed for this? She need to come along with me to Amsterdam and search for the job there. If she is coming here as your dependent, no other documents are needed to get employment. Dependent of highly skilled migrant is allowed to work any job. They need not even change their visa status. Means….the employer will not ask for any Apostile on her degree certificate? The info shared by u is highly commendable. I have a query regarding job offer for my friend in Netherlands paying 21000 US D per year. He is a bachelor . will it be sufficient for him to accommodate over there. Is there any possibility of saving??? This is close to the minimum wages in NL. Can manage but will be very tight. Please check my post on cost of living (assume 300 for housing) for saving etc. By the way i wanted ask, do you know about Stenden University,Leeuwarden…? i guess you do know something at least. and sir is it possible to work part time while i study full time in Stenden University,Leewarden…? please let me now , i’m looking forward for your replay…!!!! Thank you in advance..!! Unfortunately not Prajin. I think you are allowed to work when studying. This is Sakthi again. As i had written before, my employer has filed Highly skilled migrant visa for me and dependent visa for my spouse. Both of us will get the stamping in Mumbai NL embassy on same day. But is it possible for my spouse to travel to NL 2 month after my travel? (First I want to travel and 2 months after my spouse want to travel). Will there be any problem in collecting resident permit/ BSN for her if we do so? You can travel separately. You can register and apply for RP only for yourself when you arrive. Your wife can be registered and her RP can be applied only after she comes to NL. Have been reading through all the points here on the page. Its like goldmine. Thanks for your wonderful efforts. I would be travelling along with my husband who has been relocated to Amsterdam. It says we would need an apostilled birth certificate, otherwise we have to stay only in Amsterdam or Amstelveen when we arrive in Netherlands! What happens when we both don’t have the apostilled birth certificates, Madhu? Hi Charan, there is too much confusion regarding BC (apostilled). Most say it is reqd and some say it is not reqd. What happens when you don’t have it is not clear…I suggest you ask this in the facebook group where you will get latest information. I did this few year back when it was mandatory to enclose appostiled BC at the time of applying for a visa! i received an email and appointment letter from Heineken breweries Amsterdam Netherlands to serve as system administrator at the Royal Bam Construction Company, for a monthly salary of 5000 euros. with free food and accommodation. can i manage with this sort of payment . i am a bachelor. i earn my money the hard way, in India. i am in a state of penury. i need to know more about the background of the company and its true bearing and reliability. i am now asked to pay about thirty thousand Indian rupees towards the visa processing fee, to be deposited into their account. i am a in state of confusion as to whether it is genuine or not ? i am reading a lot of cyber crime facts that appear on the internet. can i ask for a waiver of this visa fee processing or pay the same when i reach their workplace in amsterdam netherlands? kindly sort out my confusion mr madhu. i have very little time left. i am to reach and report at netherlands by the 31 st march. hope you would understand my anxiety and eagerness to join and work for foreign company, to better my future prospects. Heiniken breweries is a global brand. Google and call them at their HR number to check if your offer is genuine! Dont use the number in your offer letter. Asking you to deposit money for visa processing sounds suspicious for a company like Heiniken. Also Heniken…a beer making company acting like a broker to hire you for a construction company does not sound right. Hi Madhu, thanks for such a useful insight. I have recently got an offer from Leiden university for masters in economic and consumer psychology. But I am really in doubt about the job prospects for international students after this course , the course is a part of organisational psychology/ organisational behaviour. It will be really helpful if you can let me know about this. Thumb rule for most jobs is, if it needs interaction with end users then Dutch proficiency is expected. If it is within a department that needs higher degree skills/education, emphasis will be on the skill rather than the language. I have no idea about your area in particular, but if there are many native Dutch speakers available in the market, preference is likely to be given to them. Your information is soo good and more helpful to us. Thank you so much!! I am tamil girl. I reach Netherlands next week. Stay for 6 months. I am going single and I need Indian girl room mate to share the room. I prefer Sittard. Please suggest me. I am much worries about my accommodation. Sittard is very small town. So try via facebook groups – ‘indians in eindhoven’ and ‘indians in masstricht’. Both have train connectivity to Sittard. After that you can change to Sittard when you get accommodation there. Hi Madhu, you’ve got a fantastic blog going on here for us! Kudos to you! My IT MNC here in India is planning to apply for my MVV for a year or so. I understand the MVV/residence permit is valid for the duration for which my sponsor applies, i.e. 1 year in my case (correct me if I am wrong incase there is a fixed duration like 3 years). I plan to bring my wife along so that she can apply and get a job in the Netherlands (Software Engg.). In case my company calls me back or does not extend my MVV – will my wife’s residence permit expire as well? If she is working can she continue without me being the sponsor? Is this possible? My basic intention is to continue working in the Netherlands even if my company calls me back. So can I leverage the fact that I can quit and search for a job while my wife is employed in the Netherlands? Are there any difficulties or concerns that you can advice us with? When you do not have a job, your wife cannot continue to work on ‘dependent’ status. Both of you will have to go back to India. So the work around is, ask your wife company to process her own MVV when she gets a job. Later whenever you leave your job, you can forfeit your MVV and register yourself in the IND as her dependent! Note that if you do not get a job within 3 months of your last job, you will lose your 30% ruling! Thank you for such a useful site. After reading one post, I went through others as well and found them very helpful. Thank you. I have two questions, dear Sir. 1) Once you are resident, can you work in other countries in EU/Schengen without going through visa process? 2) Can you change the job within NL without going through visa process? I would be grateful if you can answer these questions. Thank you, sir and please keep updating this site. Could you help with following doubts? 1- As mine and family details(Marriage, birth certificates, BSN) are already registered with Dutch authorities, Do i need to provide documents again for new RP? 2 – What will be the procedure in my case and How many weeks it may take to get visa for me and dependents? Thanks in Advance! This is truly been a gem of a site for help. Sorry that I am not of much help to you. I suggest you ask in the facebook forum for people who have gone thru this situation. I have to invite my parents to NL to take care of child delivery of my spouse. I heard that maximum allowed stay in Tourist/visitor visa is 3 months. Is it possible to get 6 months visa anyway? If do, can you please share the procedure? Hi Satish, not possible as per my knowledge. I am from UK , working in IT, have British passport. I got contract in Netherlands. I will invoice about EUR 900/d to Netherlands agency from my UK limited company. I am searching online for the right information. Please advise me . 1) Will NL agency deduct any tax from the Invoice amount? 2) Shall I be liable any tax in Netherlands? Scenario 2: Billing from NL through self employed. 1) do i need to incorporate limited company (BV) to bill as a self employed? 2) What is the procedure to register as self employed in NL and how long it will take? 3)How long will it take for VAT registration in NL for self employed? 4) will agency deduct any taxes if I invoice them as a self employed? Pls check with KvK office Netherlands. From what I know you pay VAT where you provide services and pay income tax where you live. I have written 2-3 times in the site and every time the blog is not approved. I have few questions, could you please help me. I have an offer from an IT org in NL Almere. It’s paying 40 K Euros per year. Could you please tell me what will be the take home net salary for me after getting 30% deduction. Also can I please understand which is the best place to stay in Almere. I have to support life of me and my wife here. Also would request you , if you can detail how is IT growing there and future prospects of it. I have got in a tier-1 IT company. Would reuest your help please Sir. Hi Sayan, did not answer your questions because the answers are available in this website already. You need to help yourself going thru articles like ‘Salary, taxes…’, ‘cost of living..’ etc. Also, I don’t live in Almere. Pls try your stay related question via facebook group. My company has applied for the MVV and I need to collect it from the Dutch Embassy, Mumbai. Whether we need to do the Apostille for the birth certificate inorder to register me in the Municipality of Netherlands?? As per rules yes apostilled BC is required to register. Sometimes the municipality may not make it mandatory. But better not to take the risk. Firstly thats a great post and secondly u have been extremely patient to reply to all the queries. I am considering to move to amstredam as my husband is working there, however I have experience in human resoucres..do you have any idea if I would be able to find a job there. Check the job market in portals like monsterboard.nl, indeed.nl. I expect (Dutch) language factor will come into play making it difficult. Hope you’re well, and thanks a lot for all this information you’ve collated! My query is regarding salaries for MBAs with 6-8 years of experience. The employer I’m talking to said their offer will be in the range of 6250 – 7000 gross per month. I will be traveling with my wife and kid (just a few months old). Do you think this compensation would be good enough if I want to rent a decent 2 bedroom apartment close to Schiphol, where the office will be? Reason for query is, I was doing some research on salaries in Netherlands, Switzerland, US etc and the monthly gross in other markets seemed to be about 8000-9000 EUR per month (no credible information available for Netherlands). Going by that, salaries in Netherlands seemed to be on the lower side. In case you’re unaware of it, if would be mighty helpful if you know of any leads. I’ll reach out to them directly. Thanks again for the wonderful website, and all the help you’ve been providing. From money/quality of life perspective, offer is very good. Not sure though if it is in line with the market for an MBA. Ask for MBA contact on facebook. Do not compare with Swiss – they are exorbitant. 1. Is it possible to achieve dutch A2 level with IT work pressure within 1 year; is it easy ? 2. How much its possible that they would make the temp(1 year contract) to a permanent contract? What I mean to say is , is there by any chance they don’t extend the contract and I can take help of NL govt or something like that. Would request your reply. please. 1. Quite easy. Need to put some effort. 2. Usually extended when you and company are doing good. I have been living here in Netherlands from last year around November along with my wife. She is a house wife here. Can you please elaborate on this, how can she apply, where she needs to contact etc. Thanks for your help/advice in advance. Google for your city tax office address and visit them! 1. Is he eligible to work in Netherlands ? Any formality needs to be completed ? 2. Is it possible to get same kind of job in Amsterdam? Please reply with your valuable comments. Thanks in advance. Awesome work. Really appreciated, there are very few people who have the knowledge and they share it with other people in such a good way. You are really making the life easier a lot. I would be moving to Amsterdam, NL in first week of Sep for 6 months. I’ve few questions to ask. 1. I’m a pure Vegan (North Indian). So, are there Veg foods available in Amsterdam. Also, if I consider to prepare on my own at my residence, will I be getting the raw stuff there (Like Lentils[Daals], and other Indian spices). 2. Are there some specific things which you want to advise me to bring specifically from India which are not available in Amsterdam. 3. The pay which I’m expected to receive in Amsterdam would be around EUR 2500 + Fully furnished accommodation. Can you please let me know whether this is sufficient to live there. Just to mention, I’m a teetotaler, so at least there would be no expenses on Alcohol. 4. How much tax deduction can I expect on this pay and what would be take home for me. Since, this trip is only for 6 months, does it require to open a bank account here in NL, or can I access my Indian Bank Account here in NL. Because the pay would be credited to my Indian Bank Account only. 5. Which telecom operator should I choose for buying a SIM card. The usage would be making calls back home and with some sort of data plans as well ( to use Whatsapp, Skype). I’m not sure if I would be having complimentary WIFI in my accommodation, but still I would prefer a plan with data/voice benefits both. 5. Internet on mobile is typically expensive here. Will have to look for best deal among many – Vodafone, T-mobile, Tele2, Telfort, gsmwijzer etc etc. Hi, I am coming to Amsterdam for 1 year project. My family will also join me for 6 months. My younger son is 2 yrs old and elder son is 8 years old. Elder son is already registered in Indian School. I am planning “home schooling” for him during his stay at Amsterdam. After coming back to India, he will resume his same schooling. Is it mandatory to enroll my elder son in local school ? From what I know “home schooling” is not allowed after 5yrs in Netherlands. I could be wrong. Its nice to join your forum and really appreciate your efforts. I am planning to pursue my masters in supply chain management in netherlands. I Will be enrolling for the course as a EU national since I will be getting my portuguese passport soon. I am currently working for a MNC in Middle East. I would like to know if I would be eligible for the EU tuitons fees if I straight away join the course without residing in the country or should i reside in netherlands for a particular period to avail to benefit. No idea. Best is to check in facebook group of students from the university you plan to join. I expect by now, you will be having a better idea on skilled migration visa procedures. If yes could you please explain us or else if you know any consultancies or any website, please do share with us. Awesome blog,I read it at least twice to find and remember things i need to take care of. I need a suggestion/help, I am planning to move with my family in last week of October. How can i get a accommodation for at least a month before i can find a house and move to it permanently. I heard , we cannot get a house for rent with out the residence permit and a Bank Account.Is it true. Ask your employer for initial accommodation! Even if you want to rent yourself asap, you will need only employment contract, valid visa page on the passport! 3 months payslip is needed but this will be waived when you have just moved to the country. At the worst case, they may ask for BSN which if well arranged can even be obtained the day you register at the town hall! With BSN you can open bank account in a day. If these do not work, stay in a hotel or try airbnb.com. Thank you madhu, I didn’t knew that Contract and Visa page will suffice. Will try out on some rental portals with these. In worst case i am planning to come alone, with family joining later. Any suggestions on shared accomodations (with Indian preferebly) if i come alone? If your employer is not arranging, would suggest to come alone first. Try facebook groups from shared acco. Could you please let me know, how you are approaching as I am also searching for options to move to Netherlands. I am deputed in Netherlands by Indian company . My spouse is here on dependent visa and already received RP card and BSN number. She has got job in Netherlands in IT company just wanted to know whether her company has to again raise new work permit for her or any action needs to be taken by company. If you are on MVV (knowledge work permit) no action is required….she can directly start working. 2) if local company hires her is she eligible for 30% Rule ( as per company she is not eligible) ? 2. Sometimes they approve. So ask the company to apply anyway. We are from Hyderabad, now under Telangana state. In our passport we have Hyderabad, Andhra Pradesh in Place of Birth line. But if we apply birth certificates now, we will get place of birth is our home town and Telanagana. We do face any problem with place of birth mismatch?. Birth certificate is mandatory. BC will be checked in a face to face interview. So if they ask, you can explain the reason for state name change. If they still doubt it they will look it up on the internet to confirm. So Telangana/AP change will not matter. If the place name is also different, they may raise a question, but I don’t expect they will be strict about it. You can probably explain that the passport is an error and will be corrected next renewal. I am Mohan from HYDERABAD but now working in UK on work permit. Can you tell how your husband got job offer from Netherlands. I am also looking for job in Netherlands. Hi Madhu , Great job. Really Appreciated. My husband got an offer from one of the It companies in Netherlands. They are planning to do Skilled visa. He is got the Birth Certificate. I dont have a BC and its not registered in Municipality as well. . If I don’t have a BC what are the alternative documents I can produce? Can I apply for BC in indian embassy in netherlnds based on my passport? Nothing will replace BC. Ask in FB groups how to get it for your case. Hi..I am presently working in Singapore.. will be following my husband next week to Netherlands.. who is on work permit..just wanted to know how difficult it is to get job in Netherlands.. provided we only speak English.. though I have more than 4yrs of exp..
check in job portals the demand for your skillset!! Knowing Dutch is not mandatory but knowing Dutch will boost the possibilities. I am ne to NL from U.S. My husband is ill so I had US powers of attorney. tHey tell me it is not valid here. How do I get one? Your blog is excellent! I can imagine the Power of Attorney would have to be done in Netherlands. But I have no idea of alternative solution! An urgent query. can you please let me know whether a dependent on MVV would also need the Birth certificate and Apsotille on the Birth certificate too. Thanks in advance! First and foremost, thanks for starting a blog like this. Hats off. My query – Me and my husband are planning to do Ph.D and masters programme, in addition would like to bring our kids along. Pls advice whether we both will get visa to study. What is the source of income to be shown? If so how much? Anything else required ? Is it better one starts to study initially and later spouse join study later. Guide us the rules. I do not have experience in this area. Better to connect with someone doing PhD here. My name is Vijay and I am an IT professional from India (Hyderbad). I would be very obliged to you if you could you please also let me know how your husband got a job offer from a NL company, since I am also looking for a job in NL quite long time. I look forward for your response, thank you for your time. I have recently been offered PhD position in University of Twente, Enschede. I am not married yet but I have a dependent mother. I need to understand if I can bring along my mother or call her later to stay with me during my studies. Is this possible to get dependent visa for my mother for long term to short term stay. Please guide me. I hope I am clear. Thanks again for the wonderful blog!! WIfe is High skilled migrant. She has been deputed by indian MNC in eindhoven. She is on perdium basis and do not directly pay tax to NL government. Me her husband is dependent and will start work in NL soon. I will be applicable for 30% tax ruling. We have 2 yr old son, and planning to put him to daycare. Can we get day care discount? Ammount for daycare is 1500 Euros, which is too high!! Are there any house hold indian day cares in eindhoven? No idea. Check with the day care. They should be able to suggest. No Indian day care in Eindhoven. I want to know , if I visit in Netherlands as a visit visa than I can apply for work or work permit? You cannot be processing work permit when you are on visitor visa in NL. I was going through the site, your help is much appreciated. I have couple of queries. I opened a new Dutch B.V (IT) with my Dutch friend(Am the director of the company). Now my friend asking me to travel to the Netherlands. Could you please let me know which visa type should I apply ? I am hearing I will get only 3 months Visa. Are there any long term visa options for me if so what would be the max duration.Thank you . I am not aware. Your friend in NL can visit IND office and check the possibilities. Hi, my husband will be coming to Netherlands in the following week. In his medical checkup he is detected to be diabetic. I am worried about his food after he comes. Can you give idea about food quality there and also specially for diabetic indian person? So that we can send food items with him accordingly. Diabetes is common here as well. He should not have problem finding relevant food. Best would be to register with a doctor (GP) as soon as he arrives and take his/her suggestions. Hi, I would be travelling to Netherlands on a long term work permit visa. My company is also going to sponsor the dependent visa for my wife. My wife is currently working in another company. With this dependent visa, will my wife be able to continue working for the same company from Netherlands or is there any additional required for that. My wife’s company is actually asking her questions on what restrictions would apply(particularly in terms of working hours and salary) on the dependent visa, the information about which I couldn’t get anywhere. Can you please provide your suggestions here? If she plans to work from home (in NL) for a company in India, I am not sure of the tax implications. Immigration dept will not have issues but you will need to check with tax office/tax consultant for details. I do not have any knowledge about this. I will be joining new company in end of may 2016 and they will be sending me to netherland branch on assignment basis for 1 year .They parallel y processing my NL work permit visa + dependent visa for my wife. Now they are telling it is not possible to process u r wife visa. since processing agency in netherland asking for last 3 years salary slip from joining company & last 3 years bank transaction of company . So now they are asking me to travel alone & after getting 1st salary slip from netherlands branch , we will apply for your spouse visa based on netherlands salary. Is it really required to show 3 years sal slip ? or the new company bluffing about it . now i am in confusion what to do. since i have resigned from my current company. I am not aware of such rule. May be you can ask on facebook group and see if someone has this experience. Your blog is very helpful. Got one query. Please help to reply. I am holding long term.work permit which will expire in 90 days. But currently there are no project requirements. Will it be possible to extend the expiry date? If not can I myself find an employer and use the current work permit and travel with new employer offer? Also can I travel on my own and get the the resident permit and try for jobs there? Please reply! Its urgent. My visa is about to expire by May 1 st week. I have got 8 years of IT experience. I don’t think you can extend the expiry date. You cannot travel if you do not have (paying) job because work permit is granted based on confirmed, certain minimum salary. Email to the embassy or IND for the first 2 questions. Normally they respond. Hi , I came to netherland through work permit , i gt my RP and applied for BSN. i will be staying here for less than 45 to 50 days . i will not be going to create my bank account,, will the company deduct tax through BSN?. We are from SpellBee International located in chennai, India. We are running a English Language Development competition in India and Srilanka across 600 schools.This academic year it is getting introduced in Singapore schools too. We would like to run this programme in netherland too for the benefit of Asian families . Would you be able to refer any asian who is interested to run this as a business. We have a Dutch student spokesman in netherland GIJS.He is in amsterdam and he will be able to explain the project to any local person who is interested as he has been with in India on a project for 2 months. I am sure there would be people – especially spouses who moved from India along with their husband/wife. I would suggest to ask in facebook group Indians in Eindhoven. If I come across someone personally, I will refer. Hi Madhu, this is such a wonderful blog thanks for all your efforts. I have a query regarding dependent parents. I understand that they can be brought only on visitor visa which is for 3/6months. Is it possible for them to get into a small job (not sure if a small business can be planned)just to get them visa to stay there for long ? Any age restrictions to look out for a job for parents? There was a possibility with business setup with large investment but I do not remember the terms. I suggest to check in the ind.nl website. Tax authorities are also smart….they create temp BSN until you share real BSN. Tax will be deducted from day 1!! Hi Mr.Madhu, Thanks for such a detailed blog. My daughter will be doing a one year internship at Wageningen University from 1st Aug. As a mother I am worried about sending her alone. Will we able to call via whatsapp/ send whatsapp messages with the SIM she gets there as soon as she lands? Hi Madhu , I am Mani from Precision Pro Events chennai , India . We organizing an one company annual meet at amsterdam with gala dinner . We have searching a Entertainment option at there , we found some company in netherlands . But even v didn’t found any indian singers , indian artist and etc . can suggest any indian can performance in stage . No idea. Best is to ask in Facebook group. Thanks for documenting such extensive and fine details. Would you be able to provide details on Almere similar to eindhoven/amstelveen ? Am looking for kids friendly rental options preferably in location with sizeable Indian population. Any pointers would be helpful. No info about Almere. If you move here, would appreciate if you can prepare a write up and share it with me. I can post it in this blog! Thanks for the wonderful blog and in so much detail. Do you think if its a good idea to travel to NL (Hilversum) with a 1.5-2 months old newly born child in and around October last week-November first week. Its a work related travel for long term and I am planning to bring my wife and newly born along. No problem. During winter extra care is needed from parents to keep the new born warm, immunization and growth monitoring. So make sure you consult the consultation beureau of Hilversum asap on arrival (example: Zuid zorg when moving to Eindhoven). Explain your case and if possible take an appointment with them even before you travel. Thank you for patiently answering so many questions. I have a question myself. I came to Netherlands as a Highly Skilled Migrant. After 6 months of Job Hunting my wife has got a job. Within a month she joined, my company is asking me to go back. Can my wife file for her WP while she continues to work in NL? Or should she also go back to India along with me? Wife can apply for WP if she is drawing salary requirements as per Kennismigrant requirement. From what I know, if it does not arrive before your departure date, she has to leave as well. Alternatively you can request your employer to extend your timeline. Depending on your employment contract, employer might be obliged to honor your request. Go to a suitable lawyer with your employment contract….usually their first visit is free. Also check with IND. Gr8 work by the Indian 4 an Indian…I’m shifting to NL from UK. I stayed in UK for more than 3 yrs continuously. After 2yrs of staying in NL can I apply 4 PR in NL as it will complete my 5yrs stay in Europe OR I’hv 2 spend additionally continuous 5yrs in NL? Secondly, as we all know Indian education system is doing really good for children. Do Dutch or International education system in NL making Indian kids (staying in NL) uncompetitive compared to kids back home?? 2. Depends how you see it. Many Indians think the education here is better because it makes kids to think in their area of interest. Both systems have their own fans. Thanks a lot for this very nice and quite informative blog. I have a question for which I have not found any answer elsewhere. I have just passed the 5-year period and applied for PR for myself. My wife has been in NL for 2.5 years up to now. Whenever I receive my PR card, can she change her permit to permanent one, based on me? Or she has to do the inburgeringexamen? and even if she passes the exam, what type of residence permit they will give to her, considering that she has not lived in NL for 5 years? (she wants to change her permit as soon as I receive my permanent card, because she does not like her job and wants to quit). Appreciate your opinion on this, thanks very much! Speech Therapy is definitely available here. From what I know it is free (covered fully by insurance). My husband is going to come in Netherlands and going to work in hoffdorp, could please tell us best place to stay and international school -playgroup for 2year toddler..
Firstly a great amount of thanks for yiur effort in providing the information and also giving answers such a huge number of queries. It would be really grateful if you could help me with my query. – i am traveling to De Hague on 4th sept on mvv. I am being sent by my company. They told that i would be getting my residence card in couple of days fro th date of arrival. I have to travel for a weekend to meet one of my relative who is not well. I can get a sponsor ship/invite letter for my visit to UK. How long would the process take to get a UK visa after i recieve my residence card. I have previously visited UK about 7 years. 2 from the time you submit. I am working in Nederland. I have a dependent visa, my husband was working here I moved to Nederland along with him then I got a job also. Now due to some misunderstanding he want to divorce . If he divorce will my visa get cancelled ? Is it possible to convert dependent visa into working visa? Looking forward to here some information. It is indeed a great blog and very useful. I’m considering to relocate to Wageningen from USA after Phd and join a Research Institute as a Project Manager. Competing offers presently at USA range $ 85-95K/per year at a place climatically similar to Delhi. 1. Would you help me to guess what equivalent salary I should be seeking in Wageningen for a Project Manager position, especially keeping in view the Wageningen hardships (climatic and remote location). 2. Which is the nearest city to Wageningen, having Indian population? 3. Would, as a Bachelor staying at Wageningen and looking for Indian Vegetarian food in restaurants be a tall order? If you are looking for US type luxury life style (big house, big car etc), you will need 1.5times the salary. If you are looking for good socialistic society, about the same is okay. Other questions I have no idea. 1)Do they need to show all liquid asset or Fixed deposite receipts are also ok? 2) Even though I am sponsering their stay, do they still need to show this balance? Since you are sponsoring your bank statements are needed. Not theirs. 2) I have also been a tax payer to Netherlands government for the months, I have stayed in India. 3) I am still a registered member of the Municipality. 1) What is the period that we can stay away from Netherlands, when we have a LTWP visa, considering the above 3 points. If you did not get salary in NL beyond vacation time, the visa is automatically expired. New visa is required. If you got salary, better to call IND and ask if you are still valid in their system. Is there any way where we can check online regarding the same, instead of calling IND, kindly advise. I don’t think so. If not call, try email. Your employer should also be able to tell. Employer is required to inform IND when a payroll is stopped. Above information is very helpful and described very well. I have one question regarding the work permit. My condition is as followed. – I have done my bachelors from India. After which I worked for 2 years and then join Aalen university to do my masters in March-2016. The course consists two theoretical semesters and one master thesis. -Now, I applied for a job on the basis of my bachelor and got one in Tesla as an MRB Technician. The job starts from 1st March 2017 and I will do my master thesis in parallel. But in contract, they have mentioned that I need a work permit from Netherlands. – I have student visa of another year for Germany. which allows me to work in Germany for a maximum of 6 months. My salary is approx 32k plus 6k of Restricted Stock Units and some money as relocation package. 1. Can I work in Netherlands with my Visa of Germany? 2. If not, I need to apply for work permit. Am I eligible for that? 3. How long might it take to get me the work permit? 4. Should I do it myself or ask the firm to do it? 5. Is it easy for the firm to get a work permit for me? what are the chances of them rejecting me because of this issue? My daughter and son-in-law are joining NL in May 2017 for jobs from IT. Myself and my wife are the aged parents and dependent on my daughter for our stay. How can that be possible. Please explain. The dependent visas are arranged by my daughters company. With the dependent visa how long can we stay in NL. I doubt it is dependent visa. If it is really so, you can stay as long as your daughter is staying here with valid visa. I have one query.. I will be travelling to NL in Feb, so how do we carry cash to NL from India. Does HDFC/ICICI bank debit and credit card work there to withdraw cash or for card payment? Also how much cash we can carry with us? 1. Is there a 90 days (maximum) visit rule? Is it only for Netherlands or for all the Schengen countries? 2. If Q1 is a Yes, is there any documents / links where i can read about it? 2. If my parents have to come which VISA would be required for them? 3. Incase the 90 day (max) stay rule applies, can they go to any Non-Schengen country (for eg. London) for 1 week and come back for 90 days again? 4. What is the cool-of period for them to come back … After what period? It is max 90 days in any 183days period within Schengen. I am not sure if it is in the IND website, but if you dont find, you can call them to ask. My husbands project requires him to work from Amstelveen I had agreed to travel with him on Dependent Visa, our marriage certificate is currently undergoing legalization. 1. Given the distance between Amstelveen and Veldhoven would it be advisible to stay at Amstelveen or Eindhoven or shall we stay at Utrecht? What could be other better options? 1. If you have kids, better to stay in Eindhoven so that at least 1 parent is close to day care. Else Utrecht is good. 2. in reality no need for separate permit. But if you enter NL with your own WP and your salary is high enough for 30% ruling, that is big financial advantage. I am going to join for a PhD in Nedderland. I did my master’s in Germany and I would move directly from here. I don’t have a birth certificate and I am writing to ask is there any other document which can replace that? You will get these only after you have arrived in NL. Thanks for starting this helpful site. Just wanted to know if you have any idea about the time it takes to process a Highly skilled migrant visa for netherlands from the uk. I am Dinesh, from Mumbai, India. I am will travel to The NL soon with my wife. I have a query, is it necessary to get all my degree certificates apostle from the Ministry of India to land a jon in NL. I am currently employed in Bangalore. I got an invitation by a company in Amsterdam to attend an onsite interview. I expect the total stay in Amsterdam to be 3 days at the max. 1. What type of Visa should I apply for? whether I will be bumped at the visa interview for a short span for a tourist visa? 3. Are you aware of such cases? Fine work of maintaining this blog! I am in NL on dependent visa of my husbands skill migrant visa. And I am looking for a job. In future if my husband have to leave due to some reason then he has to be here on my dependent after getting job. Is there any salary constraints to get my own skill migrant visa. ?so that my husband can live on my dependent. If you get your own WP your husband can stay as dependent. But for him to work being dependent you need to have KWP visa. Thanks for the blog. I have query regarding dependent visa process and looking forward for your support. I’ve been trying to reach IND and Expat center but they are busy. Can you please let me know the documents required to submit for processing work dependent visa? Also when work dependent visa is on progress, is it advisable to bring my spouse to Netherlands on tourist visa? It is okay to bring spouse on visitor visa when dependent visa is in progress. Rest you have to ask Ind. My husband would be taking up a short term assignment in Amsterdam on a Kennismigrant Visa. I am currently working with an MNC here and my company is offering me to work out of Amsterdam. It is not an Inter company transfer, it is more a work from home option. What do you think of this arrangement-Will I be able to work in this manner with a dependent visa? I don’t think it is legal, but a few people do it. Thankyou for such a detailed info :)… It answered many of my queries, however I have one small question regarding home appliances. I am relocating from India to NL this month and planning to get my existing home appliances (Fridge, washing machine). Will there be any problem in using it there in NL. I’m really looking forward for your comment on this pls. Me and my dependents have been issued NL visa valid for 90 days and ends Jan-2018. Since my kids are in school is it possible, I want to get them after Mar-2018. Will the NL consulate extend their visa ? or should I go through entire process as a new application. New application is needed. The only option was to go for stamping just before 90days of visa approval. Once the stamping is done, you have max 90days. But double check with your company HR for any change of this rule. Hi Madhu, I am Vinoth from Chennai. I am glad that I ended up on this site and your dedication to answer every question to all the question is very highly appreciatable. I have stayed and worked for a year in Netherlands using KWP visa before 5 yearS. Now, I came back to Netherlands, but my company has applied for ICT visa. I noticed my salary is very less compared to the previous time. Even though my employment contract, residence permit is for two years, my assignment is not more than 8 months. So, I understand from your blog that we cannot switch employer when we are in ICT visa. What other option I have to continue in Netherlands finding to find a new Job after my assignment. Do you have any friends or anyone managed to switch employer using any other options. I am on a 1 year contract with a company1 as HSM and what is the procedure for company2 if I want to switch the job? Need to apply for new sponsorship visa or can transfer current one? we both husband and wife works with Indian Employer and being deputed here at Netherlands in Knowledge migrant visa. we are expecting a baby by next year. Will we be eligible for claiming the partial day care fee as part of process? I have been heard from many saying its not possible as we are not employed locally here . So can you please shed some lights around this. Let me explain my situation, i am getting sponsor but i need to find the job once arrive in NL. They told that the visa will have validity of 90 days, within this time frame need to find the job. With respect to visa, they provide all type of documents for stamping. Could you please explain what is type D visa for Netherlands? is this WP visa? what is validity period? Basically, (1) my question is if get the contract for 6 or 3 months, does need to apply any visa for extension or with the same visa can continue. (2) Suppose 90 days over didn’t get the job, what are the possibilities to get extension or do i need to fly back to home country. (3) If i have to continue after 90 days, then do i need to find any sponsor again? could you please provide some overview on this. too complex to answer here. In short a very risky option unless you know you will get a job easily with good pay for your skillset. I have came to Netherlands in Dec,2017 with my wife(on dependent visa). We both have got the RP. My wife’s visa will expire in mid February. We are not yet registered our self in local municipality. 1. As she is not registered at local municipality , does she need to de register herself at municipality . if no there where she need to submit the RP? 2. does she need to inform IND about her leaving? Pleas let me know if there are other things need to do before her leaving. 1 and 2, not sure how to handle. 3. a valid visa should be enough to exit (ideally RP or the RP surrender note from gemente is needed for exit). hi Madhu. it is indeed wonderful to note the guidance provided by you to fellow Indians to have a inside overview of NL. I am interested in visiting WUR as well as the food Valley to visit several farms and processing units. will they need any introduction / letter from the Indian Embassy ? Are these places far off from Amsterdam ? – no letter needed from the embassy. Hope you have contacted them for appointment for visit. You cannot walkin unless they are ticketed. I am writing this from India. My wife and I wish to immigrate to the Netherlands to start a new life together. I am a Portuguese National and a registered OCI card holder. My wife is an Indian national working for a real estate company in India at moment. We have been married for over a year and have no children. We have registered our marriage in Portugal and India. I can produce an Apostilled copy when required. I am hoping to get some guidance from you to help us make this transition of relocating to the Netherlands. I am an MBA graduate in Media Management and a UX designer by profession. I hope to find a job in the similar field of design in the Netherlands, (I feel Amsterdam might be getting too crowded, we both really appreciate the entire country of Holland.) Also, as a Portuguese National I feel (not 100% sure) I will be able to find a job and getting a residence permit faster. But I am not exactly sure how to go about this or how long the process will take. Mr Madhu, I need your expertise here. Both my wife and I will be visiting Amsterdam on holiday (in a few months) for the second time (our last visit was last year). My wife will be traveling on a Schengen Visa and I will be traveling as a member of the EU. We will be there for a week. This time I wish to do all I can with my time there to help me immigrate. What is the best way for me to find a job and in which city? What documents should I carry (Eg graduation certificates, marriage certificates, any other?) Will this help us to expedite the immigration process in any way? Will my wife be able to get a job in the real estate industry? Would her experience as a real estate state manager-sales be acknowledged in the Netherlands? Will my wife have a better chance of securing a job if she has any specific certifications like PMP? What other sectors/companies can an individual apply to as an immigrant? I would like to apologise for this long comment but I am eager to get your detailed advice. As a EU citizen you can directly work ofcourse. Finding job – you need to explore yourself. Is it possible to come to Netherlands on a tourist visa and then apply locally under the Highly Skilled Migrant Visa and then search for employment or via any employer? you can visit and search. but work visa stamping must be done in India. I have a very peculiar case (atleast I think it is and that’s why I need your help). I’m Indian passport holder and have NL PR since more than 3 years now. This week, my current company sold out the business unit I was part of it to other company and now I have to decide how can I move with this new company and stay in NL. Situation is that my OLD company has presence in NL and have multiple offices in NL and I take care of Dutch accounts along with few other accounts in Europe. However my NEW company doesn’t have offices in NL but I will be still working for my Dutch accounts. My new company which has office and presence in Germany has offered me a German contract. Now my query is that how can I work and stay in NL based on German job Contract. Also this how this can not effect my 5 years stay in NL so that I can apply for Citizenship in Future. I have to decide in next week, so any HELP with suggestions in this regard would be appreciated. I dont think they can hire you in the current situation. They will need to register their company and then hire you. On top of it they will need permission from IND also to hire you. This is as I know it. Workaround I can think of…they hire you as a freelance consultant instead of employee. Not all companies will do this because in strict terms this is considered illegal. I have 7 months contract with an IT company in hague with one month trial period. For this I will have to leave my permanent job and go there. Just want to know if you can advise from your experience about the risk of termination of contract and about the pay is decent or not. I will move there alone. Thank you for patiently responding to everyone out here. Quick question – I have recently got my MVV visa stamped and I have travel within 90 days to collect my residence permit. The website says it will be ready in 2 weeks once I land and once i receive the letter I can make an appointment to collect my residence permit. My question is – How does IND know that I have landed in Netherlands? Do I know do to municipal office to register? Is it updated during Port of Entry? I had called the IND desk – they said – we know but i wasnt sure how. Any help on this will be great!! For the records – If you are on ICT visa it is INDEED POSSIBLE to switch to another employer in NETHERLANDS. ok. Thanks. I will update in the website. I have a due with Pathe theatre in Denhague, I left Netherlands 2 years back. Currently am applying for Canada PR. So i need to submit Police clearance certificate . Will it be a problem to obtain police clearance certificate from Netherlands due to my due with Pathe? I am going on a spouse visa, so I read that I don’t need a work visa. My question is whether I can work for an Indian company from there. Working from home for my original job here. Legally it is not allowed. But practically, I don’t know if there is a mechanism that authorities can find out especially when salary in paid to India account. Reissuing marriage certificate is becoming a pain. I contacted the district authorities for reissuing my 6 year old MC, but they refused stating there is no such process -and even made fun saying get divorced and marry again , you will get a new certificate. Any idea how to handle such situation? I had already got the IND pre approval based on my old certificate only and will visit the embassy next week for visa stamping. MC will not be reissued. You can make a copy and ask the marriage registrar to seal+sign on it with current date. This can be used for appostile. I’m Indian passport holder having master’s degree from UK, have applied for orientation year Visa. It would be great if could help me with few queries. 1. How easy it difficult to find a job in Netherlands on that visa. 2. Is it possible to get register accommodation without having job. 3. Do I need to get health insurance from India or I need to buy one in Netherlands. 3. Health insurance is mandatory. From Netherlands is safe. Our family is moving to Eindhoven in May. Any recommendations for housing and good street so that we get Indian community their it will be good for my kids to get some Indian friends.